Soaring red cliffs, deep forests of ponderosa pine, and the roaring Big Thompson River. That’s Sylvan Dale Guest Ranch country. And if you need a spring break idea, Sylvan Dale had got some deals coming up. For two weeks only, from March 18-22 or April 1-5, families get a deal–only $387 per child (ages 8 to 12) for the whole week! 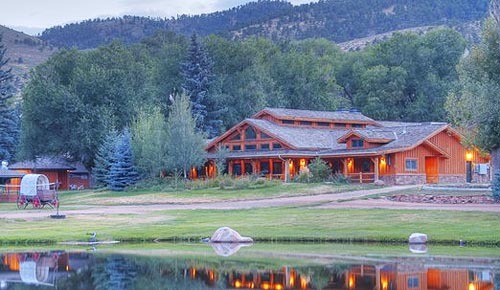 It’s called the Sylvan Dale Ranch Camp for ages 8 to 12. If you’re ready for some Colorado adventure that’s not too far from civilization (Denver is about an hour and a half drive away), then saddle up the young’uns for a dude ranch vacation today. When you arrive, you’ll find that Sylvan Dale Guest Ranch keeps alive authentic Western traditions, but doesn’t sacrifice modern amenities. There’s a business center and free wireless Internet service, and heated swimming pool and hot tub. But there’s a whole lot more to discover, like our game room, tennis courts, horseshoe pits, and so much more. And the kids will love the horse riding lessons, gymkhana evens, feeding the cows and maybe even seeing a calf being born. 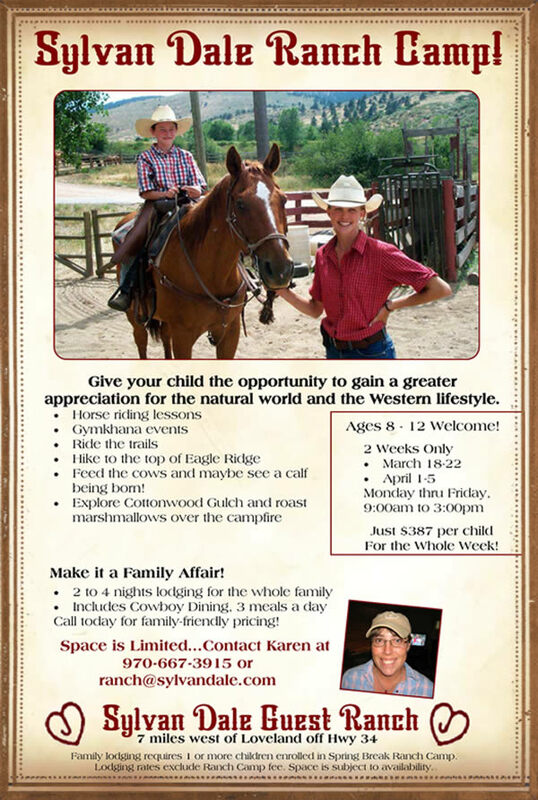 Details: Space is limited for the Sylvan Dale Ranch Camp. To book, call 970/667-3915 and tell ’em Ranchweb sent you! For the rest of the year, High season is from the 2nd week of June to last week of August, when there’s a 6-night minimum; there’s no minimum, September thru mid-June. 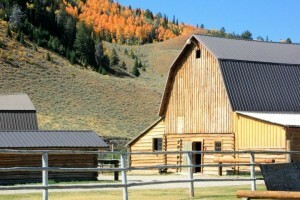 The ranch can accommodate 50 guests. It’s located 66 miles Northwest of Denver; 3200 acres nestled on the banks of the Big Thompson River, 20 miles from Estes Park and Rocky Mountain National Park.